Wearing chemo headwear without any hair pieces to hide behind can leave your face looking quite stark. Eyebrows and eyelashes are so important as they frame the face. 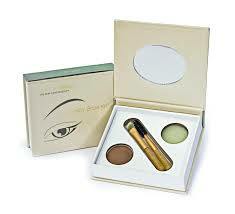 If you have lost your hair or have sparse barely there brows, you can still create a perfect brow look. To create the illusion of natural looking eyebrows, we highly recommend using a brow kit (such as the Bitty BrowKit) and eyebrow stencils. 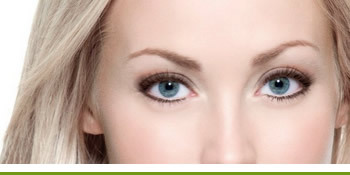 Add a little grey or ash tone into you brows to make them look more like our Irish skin tone. No one has burgundy brows! Try to recreate your eyebrows based on how they look or used to look, not how you think they should look now they’re gone. Look closely at a picture of yourself, or if you still have some eyebrows, observe them – you will notice that eyebrow hairs grow upwards, so try to replicate that. You don’t want to draw attention to your brows, nor do you want your lack of brows to draw attention. That’s why we believe choosing the right product, shade, brush and brush strokes is key to your success. Less is definitely more when it come to undetectable brows. If you struggle with this, ask Margaret or Ronni in Roches for a make up lesson, so you can learn how to do this with confidence yourself. A little eyebrow powder around the tear line creates the illusion of eyelashes, even if you have none, and gives the face definition. We have carefully chosen Jane Iredale Mineral Make-up for our clients because it is great for your skin, stays on even during hot flushes and warm wigs. It’s water-resistant and feels so light on the skin –another plus for hot summer days. Each month, we feature a Positive Appearance Workshop in each of our Roches Studios that are free of charge where you learn all the tricks and secrets of makeup, skincare, contouring and camouflaging for women going through Cancer Treatment. Get more information HERE. 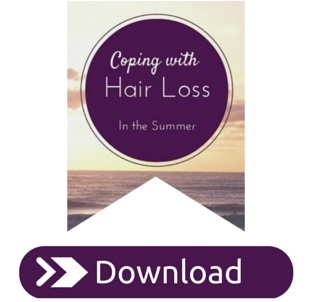 For more great tips on coping with hair loss, get a copy of our eBook – Coping with Hair Loss in the Summer.